To translate all pages, click on goggle translate bar at the top of page to select your language. We have all heard the legend of Hohan Soken and the modern expose of Kyusho Jutsu... all starting with a set of secret notes. Well these notes are not really secret and they have been circulated for many years. In fact click here for a free PDF download of them... not it is not so much the notes (except the glaring issue of them not using TCM names at all), but how you use them. These notes are not for the pressure point KO's you see today, but rather to seriously injure or kill the opponent. That makes the notes a collection of illegal procedures we urge you not to use... so why bother is a question that may arise if you can not even practice them? Well this collection of Kyusho targets has been explained in medical terms as well as given a more viable modern adaption that eliminates the concern mentioned above. So we do not just have the notes for you, but we help you understand them and give you an explanation of more practical adaption that you can actually use as opposed to the simple notes themselves.. This compilation is of important historical value as these notes were the first opening of Kyusho (Vital Point) to the world. Prior to their release Kyusho was held in strict privacy by only a select few direct lineage masters of the arts. 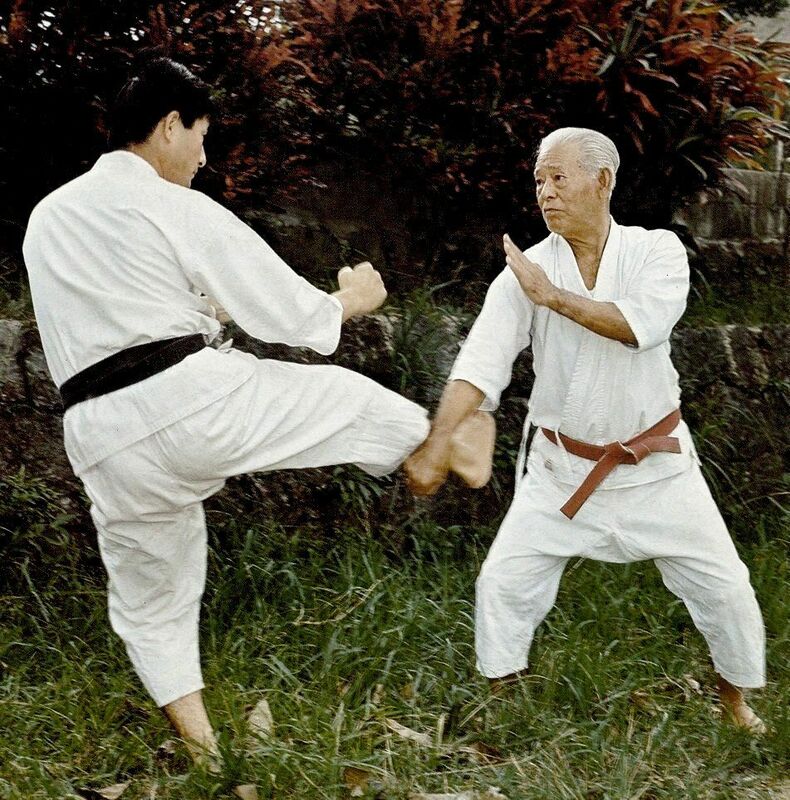 It is a Bubishi (Military or Martial Manual) of a the direct lineage master of ancient traditions and founder of Shorin Ryu (Shaolin Style), Hohan Soken. This online webbook translates into all languages on any device; smart phones, pads, laptops and PC's... full time access. You must login before making this purchase. © 2019 Kyusho. All rights reserved. Premium WordPress Themes.